Many businesses and homeowners have been financially impacted by Storm Emma. 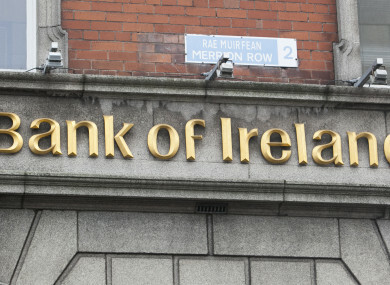 BANK OF IRELAND is ring-fencing a €50 million storm relief fund to provide support for businesses and homeowners affected by Storm Emma. Most of the country was hit with heavy snowfall last week as a result of the storm, with the east worst affected. Some roads in certain areas are still impassable, thousands of homes experienced power cuts, and water restrictions are being implemented across a number of counties in Ireland today as services attempt to get back to normal in the aftermath of the storm. This fund is amongst a range of other supports being issued by the bank for those affected by the storm. The bank has said it will facilitate emergency working capital at discounted rates for businesses and homeowners to repair properties. Bank of Ireland business and agricultural customers affected by Storm Emma will be prioritised for loan decisions, offered discounted rates and receive approval as quickly as possible. Businesses who have been impacted by flood damage and who need desk space can also avoid of the bank’s Workbench and Startlab co-working facilities nationwide. Mobile financial advisors and insurance assessors will also be deployed to visit customers at their homes, farms or businesses to discuss options available to them if needed. “We are committed to providing support to communities across the country following the impact of Storm Emma,” Bank of Ireland’s director of distribution channels Áine McCleary said. “A €50 million fund has been ring-fenced to fast-track support for business and personal customers at discounted rates and we are committed to a flexible approach in relation to payments on other products where customers engage with us,” she said. Ulster Bank said that it will provide ongoing support to customers who have been affected by the storm, however, it does not have a specific fund in place. “Ulster Bank will provide ongoing support to customers affected by the recent bad weather and will work on them on a case-by-case basis. Any customer who would like to talk to us about their individual needs can do so in a branch, via telephone or online,” a spokesperson for Ulster Bank said. KBC Bank has not implemented a specific fund either but has said that it is providing continuous support to those in need. “All of our Hubs open today and our contact centre which operates 24/7 is fully operational if customers need to contact us with any queries they may have,” a spokesperson for KBC Bank said. “Customers that have needed support have been in touch with us over the weekend via our social media channels and contact centre,” the spokesperson said. AIB and Permanent TSB has been contacted for comment. Email “Bank of Ireland establishes €50 million storm relief fund for businesses and homeowners ”. Feedback on “Bank of Ireland establishes €50 million storm relief fund for businesses and homeowners ”.